Question: Have you shopped at CVS? What is up with the receipts? This past weekend I went to CVS. I bought one item. I needed a battery for my car key fob. The receipt I received was more than half the length of my body. I am not alone. 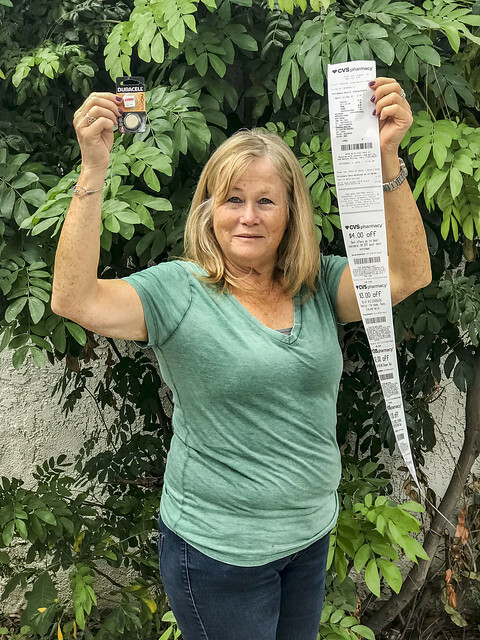 In doing a little research, I found a Jimmy Kimmel Live commentary on the length of the receipts at CVS. My question now is: Have any of you ever used one of the coupons you received on the CVS receipt? I have witnessed (been victim to) this phenomenon, and no, I have never used any of those fab coupons they foisted on me.